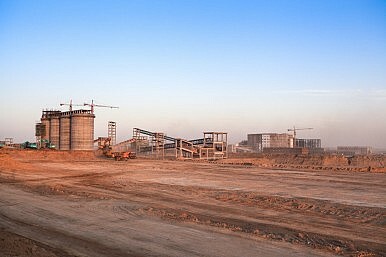 Lead negotiator on the $4 billion Tavan Tolgoi deal says the chance of parliamentary approval is less than 10 percent. In addition, China’s economic tumult throws the mine’s near-future into question. Coal accounts for over 35 percent of Mongolia’s exports and China is the destination of 89 percent of all Mongolian exports. Trouble in Beijing’s economy ripples in Ulaanbaatar. In April, Mongolia’s parliament stepped into the final stages of a $4 billion deal between the government and a consortium of companies–the Mongolian Mining Corp, China’s Shenhua Energy and Japan’s Sumitomo Corp. Reuters reported that the speaker of parliament, Zandaakhuu Enkhbold, said the deal might violate Mongolian laws. Shortly after, the government agreed that the deal would need to be approved by the legislature. In July, the Mongolian Prime Minister, Saikhanbileg Chimed, was bullish about the mine. The Financial Times quoted him as saying that it “will be unlocked in the very near future.” But his optimism was ill-placed, it seems. This is not the first time Tavan Tolgoi has faced significant hurdles. In 2011, two months after the government awarded the rights to develop the site to US giant Peabody Energy, China’s Shenhua and a Russian-Mongolian consortium, Mongolia’s National Security Council rejected the deal. At the time, the Wall Street Journal pointed to the impending parliamentary elections (June 2012) as contributing to “increasing resource nationalism” which the government would need to handle, in addition to “the need to satisfy neighboring Russia and China’s demands and pressure from countries and companies that were excluded in early rounds of bidding” in settling a final deal on Tavan Tolgoi. Next summer, Mongolia will hold parliamentary elections again and resource extraction has continued to be a critical topic for the country. While foreign investment and significant infrastructure development is needed for the Mongolian state to take advantage of the country’s resource wealth, such massive mining operations come with significant environmental and political risks.